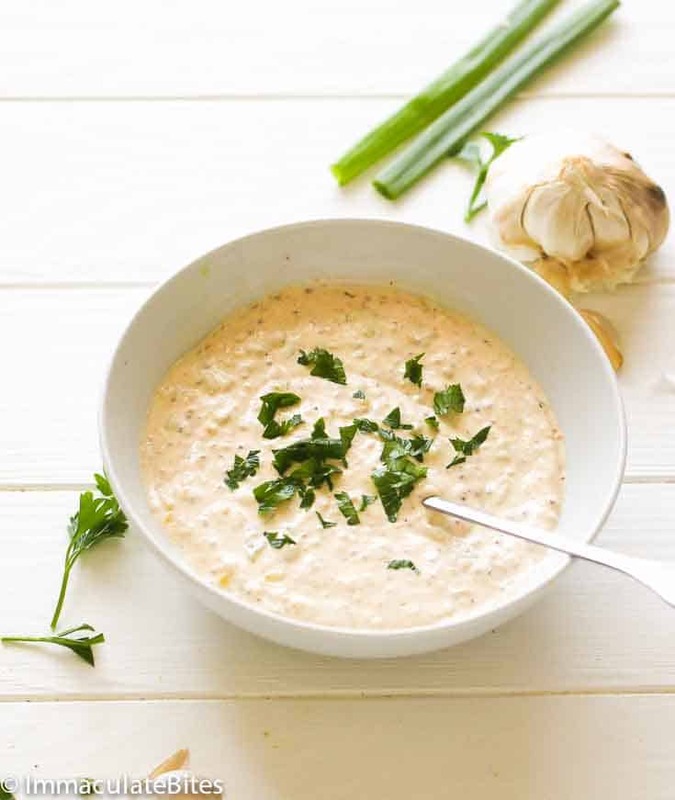 Remoulade Sauce – a Southern party favorite condiment that is creamy, tangy and spicy. 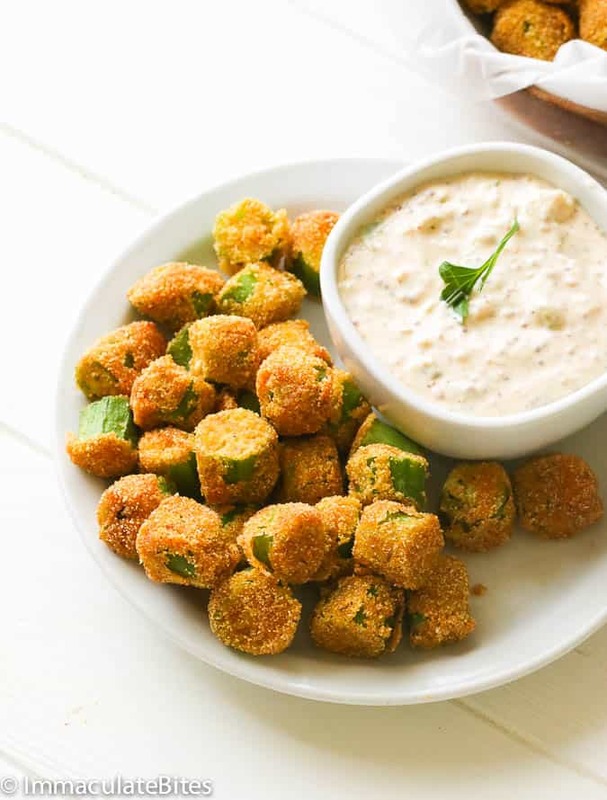 Serves as a great salad dressing, a perfect dab on anything with fried seafood or as a dipping sauce for party appetizers! I’ve been meaning to create a separate blog post for this party favorite sauce, but this Black History Month celebration seems like a perfect timing to make this recipe here stand out on its own. 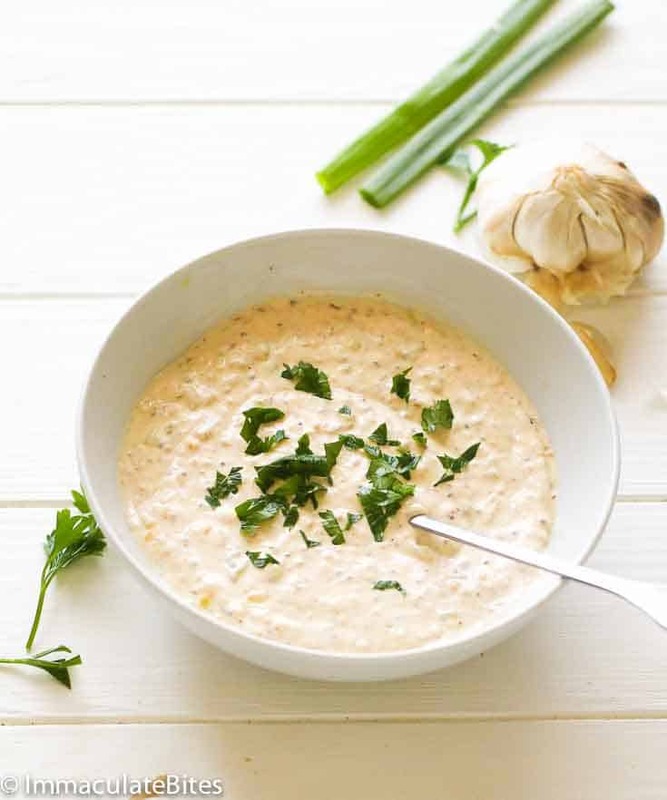 Remoulade sauce actually has its French roots but adapted by Americans, amped it a bit and made it an American household condiment, especially in the southern region of the US. 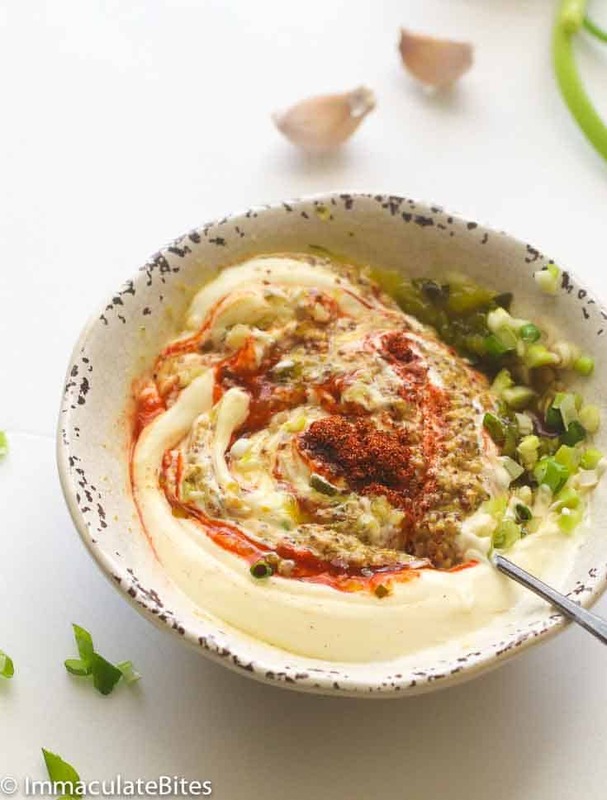 The French version of the sauce is a mayo-based with mixtures of herbs, pickles and anchovy, closely resembling to that of a tartar sauce. The Southern version on the other hand is far more seasoned than the French Remoulade Sauce. You see, the Louisiana version of this sauce has couple of variations but most that stood out would primarily have mayo, celery, horseradish and hard-boiled eggs. If you try to google it, most of those variations have a longer list of ingredients compared to what I use. And since I love y’all, I don’t want you to go all through the trouble – few and simple ingredients is all we need. Trust me, this sauce is out-of-this-world and always get a thumbs up from my guests. My version of this sauce has fewer and simpler ingredients, yet it definitely hits the spot. 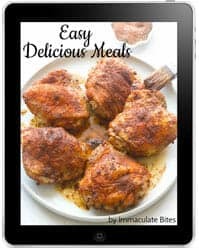 It features Creole mustard and creole seasoning for an authentic Southern flavor, relish, Worcestershire sauce, lemon juice, hot sauce and finely chopped green onions, among others. Not that complicated at all. You don’t even need to take out your blender or food processor. Just mix it manually until well-blended and you’re good to go. 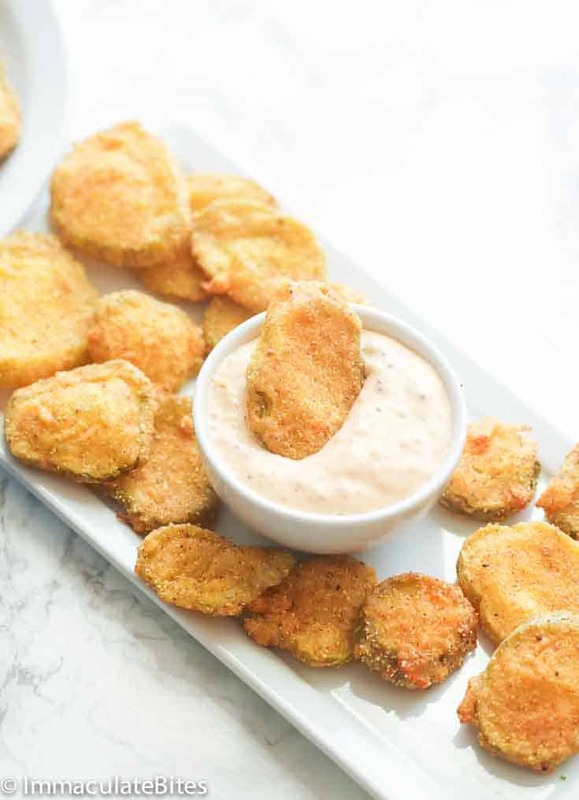 This creamy, spicy, tangy sauce complements well with these salty, sour, light and crunchy Fried Pickles that I just posted yesterday. A tastier and healthy-ish (??) alternative to your regular chips. 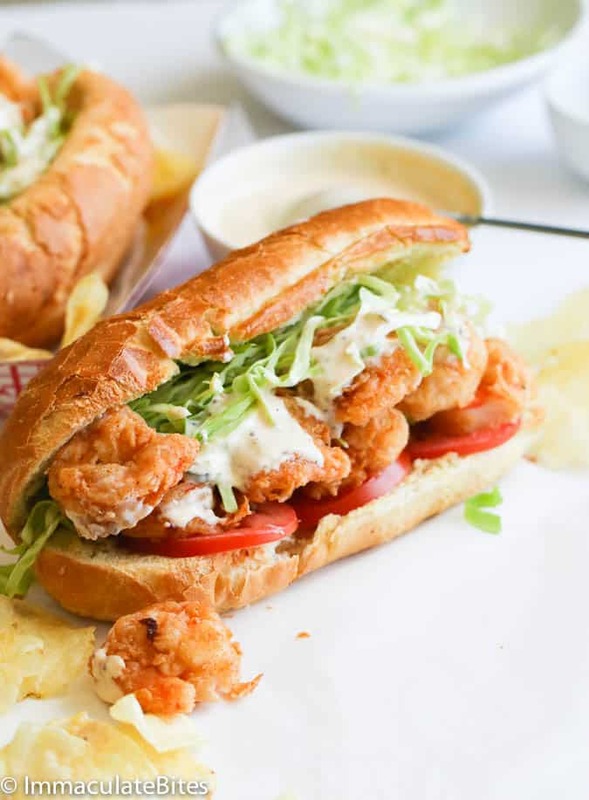 If pickles are not your thing, you can always dab it on top of this New Orleans’ favorite Shrimp Po’ Boy Sandwich stuffed with crunchy cabbage, fresh tomatoes and crispy crunchy shrimps – one of my favorites! Oh-NOLA-la-la!! 😉 A perfect grab anytime of the day! 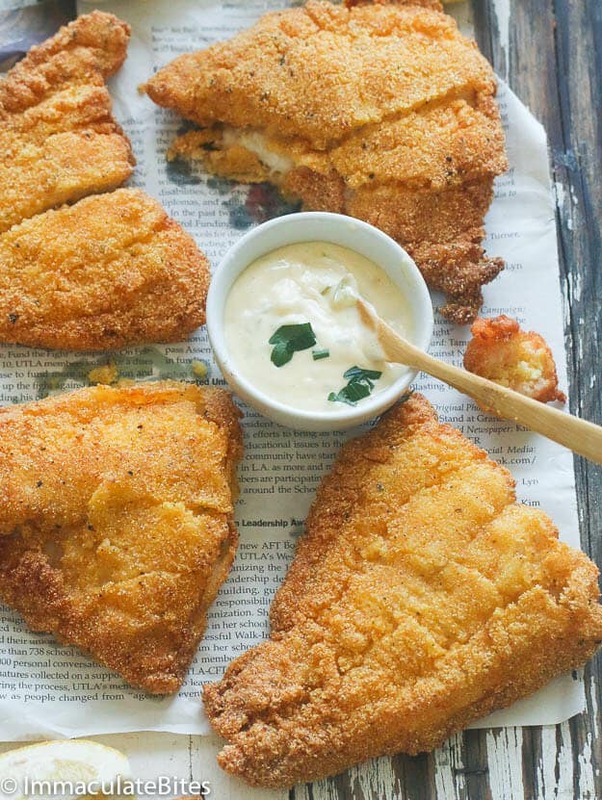 For a weeknight meal, this Remoulade sauce also goes well with any fried seafood like this classic Southern Fried Cat Fish dipped in buttermilk and breaded in spicy seasoned cornmeal and fried to perfection. Just few simple ingredients and it goes a long way. And I’m not even done yet with my Remoulade sauce pairing spree. Am I that obsessed with this sauce/dip?? Obviously, yes. So scroll down to check my other recipes that you can make use of this. Need some party bites? 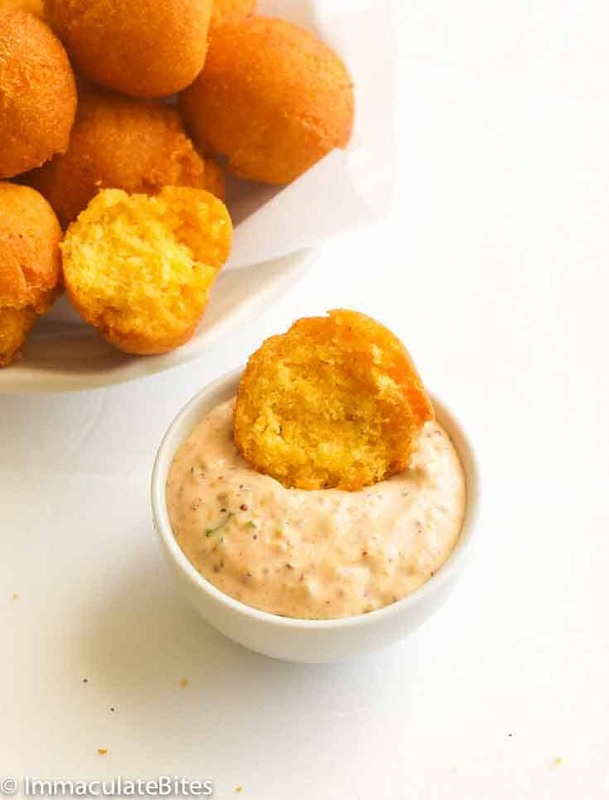 You’ll love these crunchy and moist bite-sized cornmeal fritters Hush Puppies especially when dipped into this creamy, flavorful Remoulade Sauce. It doesn’t just stop there. 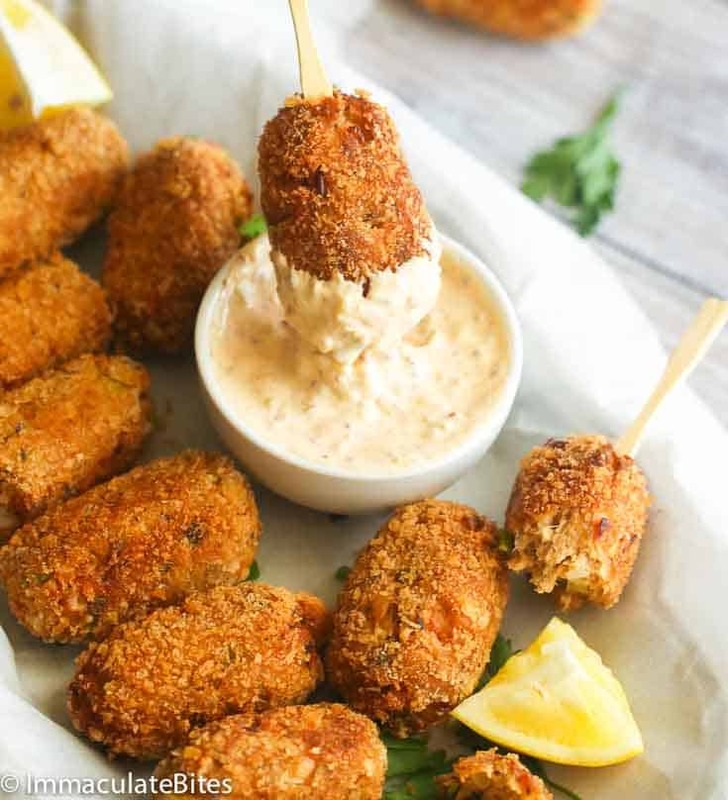 You can also pair it with this budget-friendly pan-fried Salmon Croquettes. 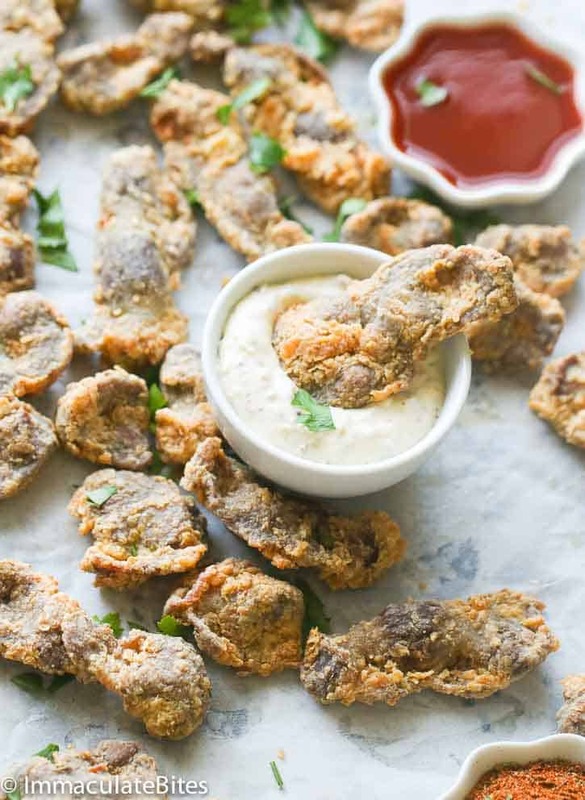 It makes for a quick and tasty appetizer, breakfast or dinner fix. And these Fried Chicken Gizzards, too. 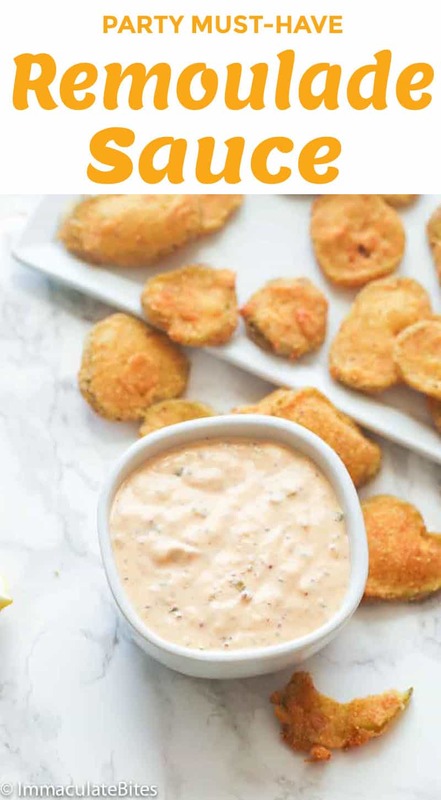 I swear, the fried food menu would be a whole lot better with this Remoulade sauce/dip. If you’re a fan of horseradish, you can always add about a teaspoon of it. 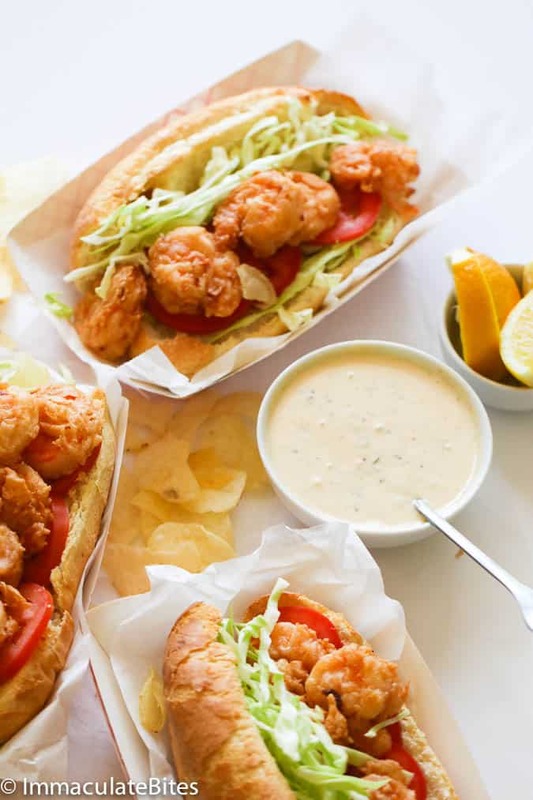 You may substitute Creole Mustard with any whole-grain mustard. Swap pickle relish with cornichons or chopped sour or dill pickles. You can always process all the ingredients in a food processor if you prefer a smoother consistency. Chill for few hours or overnight before serving them up. 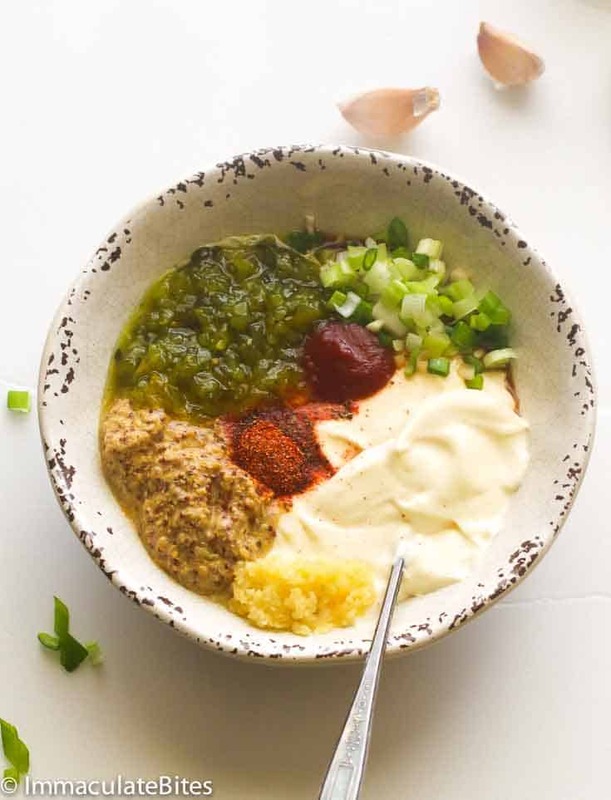 Mix all the ingredients above for the remoulade sauce in a medium bowl. Keep refrigerated. Thinking about this tonight, but subbing cranberry mustard and Penzey’s Northwoods seasoning (used both in my crab cakes last night). Is this the sauce restaurants use with fried crab cakes? Not all restaurants, but most have their own variation. I have a question is the relish sweet relish or dill relish? I made the remoulade sauce with the baked wings for the Superbowl. They were a hit! 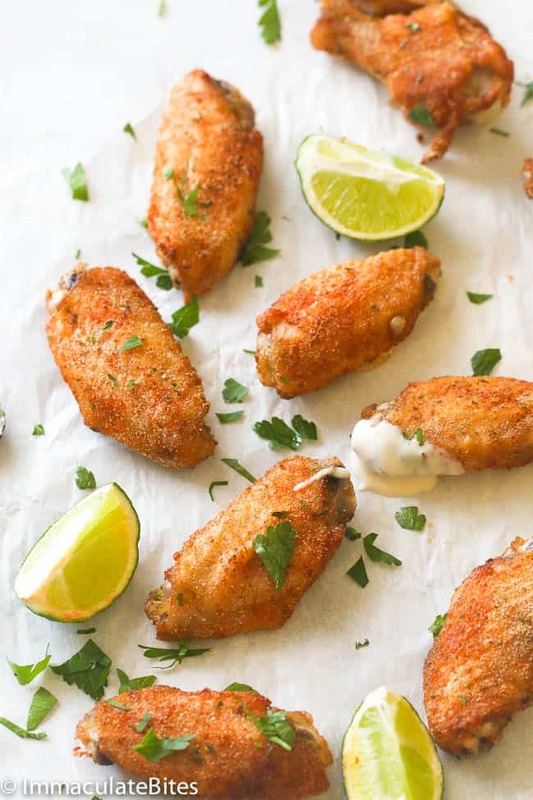 The wings came out perfect with a good spice flavor and the tangy sauce …Yum! Can’t wait to use that sauce with shrimp and your other recipes! Hi Lisa! Thank you so much for the feedback. So happy it worked out well. Looks lovely… but I thought Remoulade was made with celeriac …? No? Thanks! It’s a mayo based sauce. 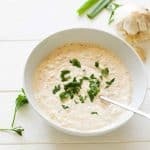 I love your site and recipes! The recipe for remoulade says 1/2 lemon juice. 1/2 cup? It’s juice from 1/2 a lemon, about 1/3 cup – adjust to suit taste buds.